4x6 cm specimen. The Thomsonite was originally associated with hair like Mesolite which is weathered away, so only the more resistant Thomsonite core remained. 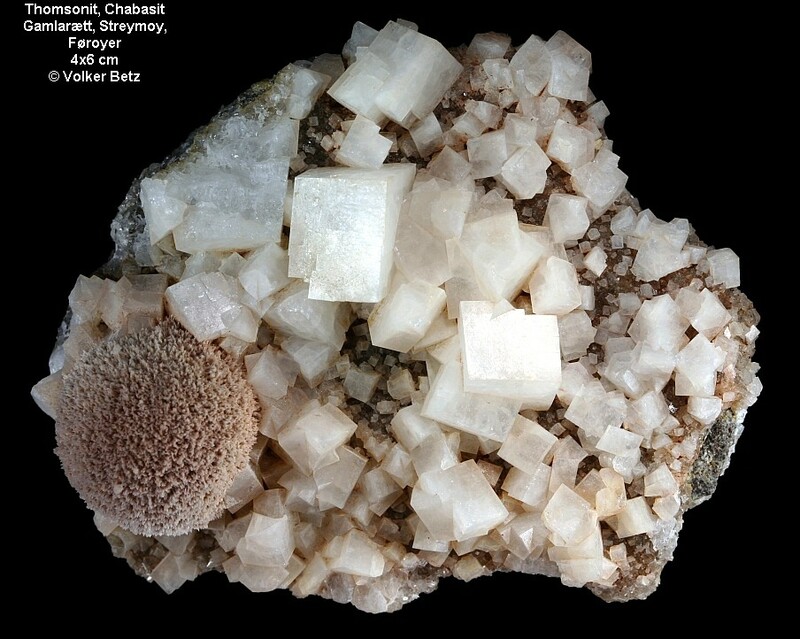 The Chabazite shows signs of Mesolite inclusions.